How To Get The Best Sleep EVER! So, I’d like to consider myself a low key expert in this area. Meaning, I’ve struggled with sleeping for pretty much my entire life. Not fun, people. I’ll assume you too are having struggles with sleeping. I’m hear to say, I am so sorry. I feel for ya, lady (or gent) and I’m so pumped to tell you I have the inside scoop on how to get your best sleep ever. I mean, truly. A little back story…Ever since I was little I’ve had sleep anxiety. I would scream and cry and throw tantrums (sorry mom and dad) at the thought of sleeping. For some reason my brain I guess is wired to freak out when it's time for bed. I’ve always had what feels like a heavy weight over me when trying to go to sleep. I’ve discovered the cause was a mix of things. From spiritual warfare, undiscovered OCD, and a lack of a killer bed time routine. I’d lay in bed for HOURS upon HOURS trying to fall asleep, but couldn’t. After years of this I became sick of it. I was over it. I just wanted to find out why I was like this and figure out a way to magically make me go to sleep in peace. I really began to dig deep into my mental being. I discovered I was not just anxious, but I had OCD. My anxiety stemmed from these OCD tendencies not being met. When I realized this was happening I started to get into building a better, comfier, and healthier night routine. THIS my friends is so important for amazing sleep. On top of me digging deeper into why my brain was the way it was, I also found and started incoorperating incredible products and habits into this new night routine of mine. Without boring you too much, let me tell you what they are! Environment = A BIG one for me! This one is the most important for me. When I wake up in the morning I know the first this I have to do for a better day and night is to make my bed. Tuck the sheets, fluff the pillows, all of it. This not only creates a good start to you day, but also makes everything 10x more relaxing when walking into your bedroom at the end of a long day. An essential oil diffuser is the best for keeping a space peaceful, sanitary, and helpful for the perfect sleep. I’ll get into my favorite oils a bit later, but this one is a big one for me. A great place to buy oil diffusers are Amazon, Bed Bath & Beyond, Marshalls, Target, etc. You can pretty much get them anywhere nowadays and they are oh so beautiful, making them so great in any space. Another favorite of mine are these beautiful, pink, blocks of glowing salt. These beautiful lamps are carved out of pink Himalayan salt and have so many incredible health benefits. They are wonderful for helping you sleep, cleansing the air in your home, soothing allergies, and create such a peaceful, warming environment. I keep one next to my bed on my night stand and another on my TV stand. Both give off such a perfect, warm, soft, glow. I always get mine from Marshalls or Home Goods and they are very affordable! My favorite app to use for soothing sleep sounds is called Relax Melodies. I CANNOT sleep without this app! First off, it’s free. Second, you can choose from so many different sounds. Beach waves, thunder storms, fire crackles, Tibetan bowls, and even a vacuum if you’re into that sorta thing. You can even combine a few sounds to create your perfect sound to soothe you to sleep. This one is another big thing for me. If you’re a night time TV watcher like I am, it’s so important for you to be careful what’s on your TV before bed. Lets all be real for a second. We all get into those TV dramas that definitely stress you out. Whether it’s a action packed movie or a stressful, sad love story, it’ll always stir up unnecessary feelings before bed and let’s face it we don’t want that do we? If you love watching new types of shows and movies that you know might stress you out, scare you, or stir up anxious feelings, try watching them a few hours before bed and stick to familiar and happy shows right before you sleep. For me, I love watching Friends at night. Not only is it familiar to me (I mean i’ve seen it all about a million times) but I know it wont stress me out and make it hard for me to fall asleep. Keep this all in mind next time it’s late and you pick a TV show. It will not only improve your sleep, but your over all life as well. One of my hobbies you could say, is making my little space a cozy, inviting, relaxing space to come home to every night. Even though I live with my parents and my room is super tiny, ya gotta make due with what you have right now, right? I have gathered pieces over the years that I absolutely love and give my space the cozy vibe I’m looking for. Comfy pillows, my fuchsia pink thinking chair, my book shelf, a quality comforter, and soft throw blankets. Find what YOU want your home to look and feel like and create that space for yourself. No matter if it’s a dorm room, a tiny bedroom, or your big brand new home. Supplements = My sleep time BFF’s! This is my number one recommended supplement for sleep issues. It’s also the most expensive. CBD oil has SO many benefits. It helps with sleep, relaxation, pain relief, anxiety, can reduce cancer symptoms, and so much more. However, its my BFF when it comes to relaxation and sleeping. I kid you not, you’ll thank me later when you try it out yourself. It leaves you feeling relaxed and unwinded without making you feel drugged or groggy like melatonin supplements do to some people, like me. My favorite brand is this one! I have been wanting to take this for such a long time and boy I’m glad I finally did! 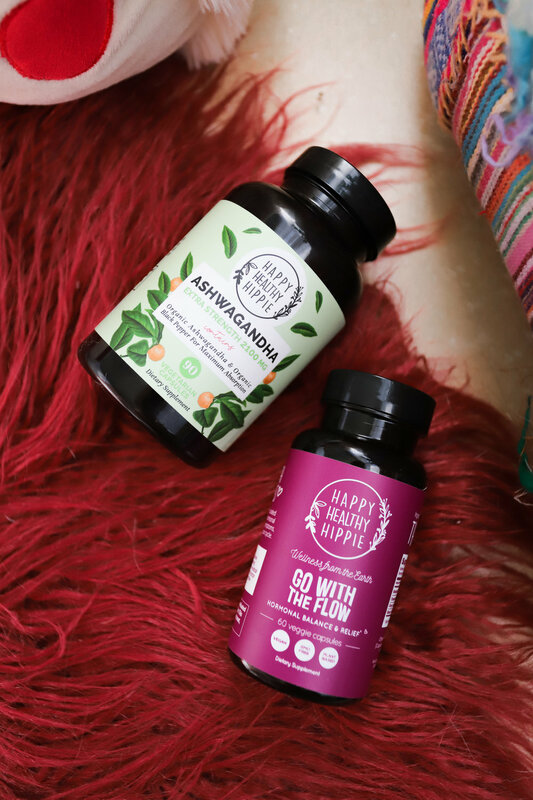 Ashwagandha is an ancient midicinical herb used in so many ways. It’s known for being used to reduce stress in the body. It also helps reduce blood pressure, has anti-cancer properties, helps with anxiety, is anti-inflammatory, and so much more. I started using this one from a small family business I found on Instagram and LOVE it. Essential Oils = A sleepy girls YAAAAS please! All of these oils create such a relaxing atmosphere to be in. They help you breathe deeply and reduce anxiety. Experiment with them in your oil diffuser. Mix a few drops of each or find your one favorite! If I had to pick just one, I couldn’t! However, if I had to pick TWO…I’d say lavender and peppermint are my favorite combo and they shine just as bright on their own!